DAYTONA BEACH, FL. – I’ll let you in on a secret. The trophy that will go to the winner of the LPGA’s biggest-ever event will be one of the most impressive in all of sports. I received a sneak preview of the prize that the players in the new International Crown event will play for in July during my first visit to LPGA headquarters here (photo below). No pictures of the trophy or descriptions of it were allowed then, and the trophy won’t be officially unveiled until April 1 at the Kraft Nabisco Championship. The Crown – 32 players from eight countries battling for that one crown in biennial global match play competition – will be contested for the first time July 21-27 at Caves Valley in Owings Mills, Md. Then it’ll come to Jerry Rich’s Rich Harvest Farms in Sugar Grove in 2016. Rich hopes it’ll stay there, and that isn’t just his dream. While no LPGA tour events have been played in Chicago since 2002, Rich did host the 2009 Solheim Cup — one of the circuit’s most captivating competitions. The International Crown, though, will be bigger once people understand just what it is. 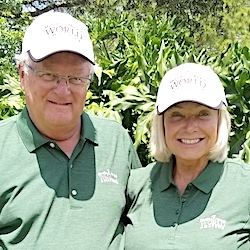 The concept of a global team match play event is unique in golf, and something that special is just what the LPGA needs to elevate its profile. LPGA International headquarters have been in Daytona Beach since 1989. A big sign off I-95 pinpoints the location of LPGA International Blvd. with its two 18-hole quality golf courses — designs by long-respected architects Rees Jones and Arthur Hills. But the major thoroughfare also leads to the PGA Tour’s TPC Sawgrass and World Golf Village, in St. Augustine — both a few miles north of Daytona – and the PGA of America is based in Palm Beach Gardens, a few miles to the south. They are also all multiple-course establishments. Big annual PGA tournaments are played at both TPC Sawgrass (The Players Championship) and Palm Beach Gardens (the Honda Classic at PGA National Resort) and the World Golf Hall of Fame is located at World Golf Village. Those attractions cause the LPGA base to get somewhat lost in the shuffle, but the LPGA likes being located in the middle of the big men’s organizations. The LPGA had been based at Sweetwater in Houston prior to moving to Florida in 1989. Its offices were across from the Daytona Motor Speedway until the mid-1990s, when the headquarters building and the Jones and Hills courses were built on the 4,000-acre property. The LPGA doesn’t own the courses –Jones’ Champions and Hills’ Legends. Both are owned by the city of Daytona Beach. 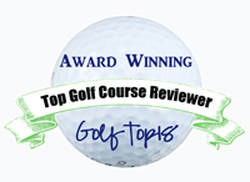 In their early years those courses were used for LPGA tournaments. The Sprint Centel Classic, later called the Titleholders, and the ATT Championship were played there, the last stop coming in 2000. Now the biggest events held on the home courses are the LPGA qualifying school and the season-ending event on the satellite Symetra Tour. There was some turmoil within the LPGA in the years after the big tournaments were moved elsewhere, especially during Carolyn Bivens’ four-year term as commissioner. She preceded current boss Mike Whan, who has engineered some progressive moves headlined by the creation of the International Crown. 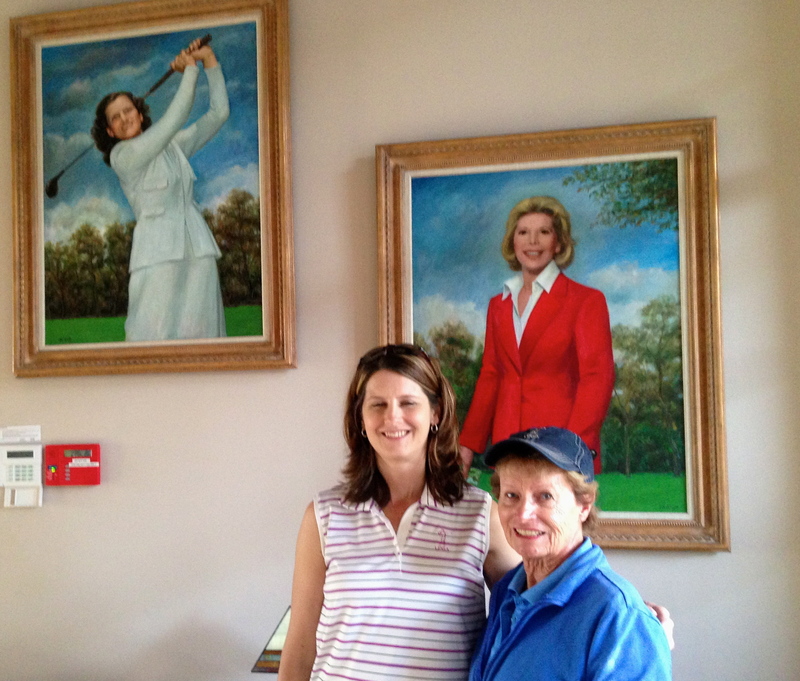 Carol Kilian (pictured at right with Hyne amidst paintings of legends Babe Zaharias and Dinah Shore at LPGA headquarters) noticed the evolution perhaps better than anyone else. She was the LPGA’s first director of creative services and an LPGA employee from the outset of the move to Daytona. Since her retirement she has remained in Daytona and is the women’s club champion at LPGA International. LPGA headquarters opened in 1996 and has become a hub of activity recently. Ninety-nine employees work there. 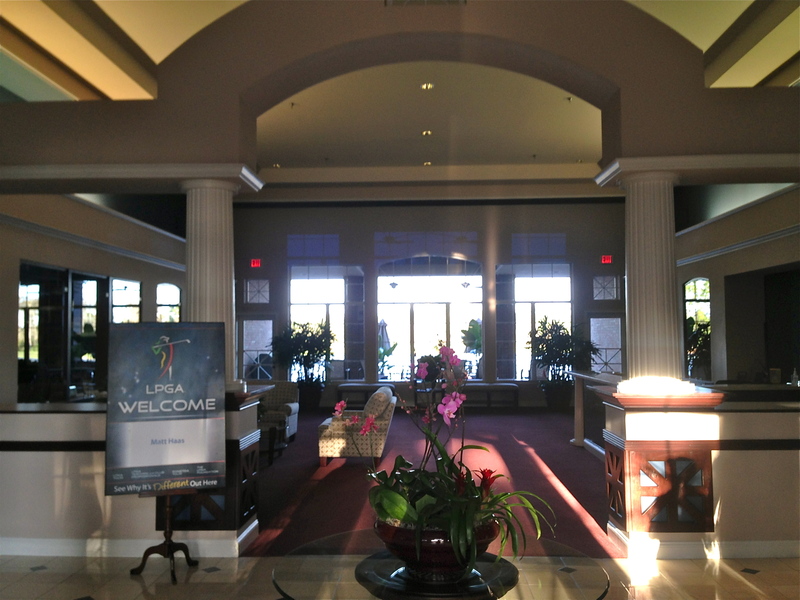 The building houses the LPGA staff, which includes its marketing, communication and administration personnel. The Symetra Tour, an offshoot of the former Futures Tour before the LPGA purchased that circuit in 2007, is also based there as is the LPGA Teaching Division, which is up to 1,500 members. While the LPGA recently opened an office in South Korea with three staffers, the global operations of the circuit all come out of Daytona. Under Whan’s direction the LPGA schedule grew from 23 tournaments in 2009 to 28 in 2013 to 33 this year and the Symetra Tour went from 15 stops in 2013 to 20 this year. 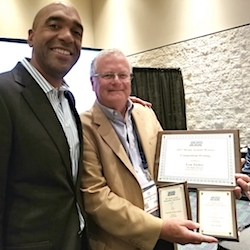 A new management company, ClubCore, replaced Buena Vista Hospitality as operator of the two courses and a point system – the Race to the CME Globe – was introduced this year. Nothing will be more different than the International Crown. The PGA has its two-team events, the Ryder Cup and Presidents Cup, and they’re very popular. Neither, though, has the scope of the International Crown, an ideal event given the LPGA’s more global schedule. The eight countries qualifying to play in the inaugural Crown at Caves Valley have already been determined on a point system. They are South Korea, the U.S., Japan, Spain, Thailand, Sweden, Chinese Taipei and Australia. The four players who will compete for each of those teams haven’t been determined. The individual point race concludes with the April 1 announcement when the trophy is also unveiled. This first International Crown doesn’t have a title sponsor. Hyne expects one to be in place for the second staging at Rich Harvest. If all goes according to plan the competition will remain in Sugar Grove, though an occasional staging in Asia hasn’t been ruled out for far down the road.